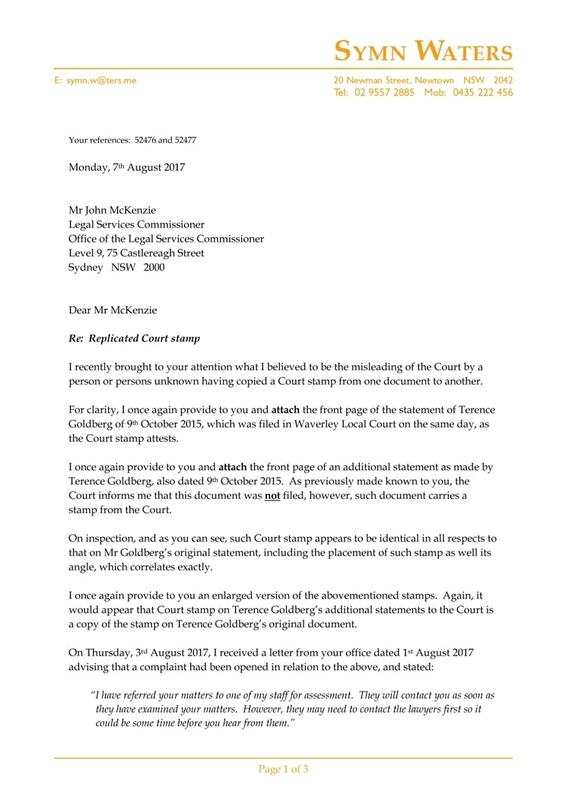 Terence Goldberg of Turner Freeman Lawyers represented four individuals, ie the plaintiffs, in proceedings heard in the Supreme Court of NSW. 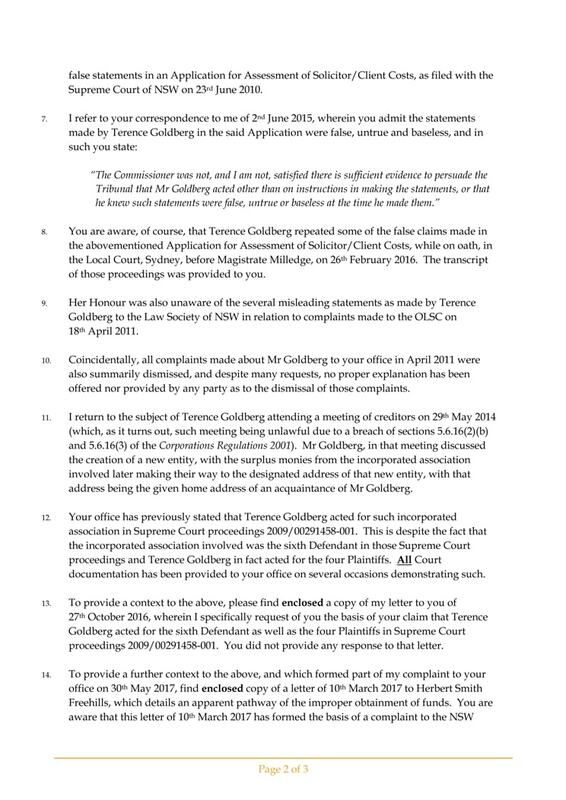 Pursuant to those proceedings, Terry Goldberg misleads the Court by claiming in an Application for Assessment of Solicitor/Client Costs that he acted for the sixth defendant in such proceedings, when in fact that sixth defendant was unrepresented. 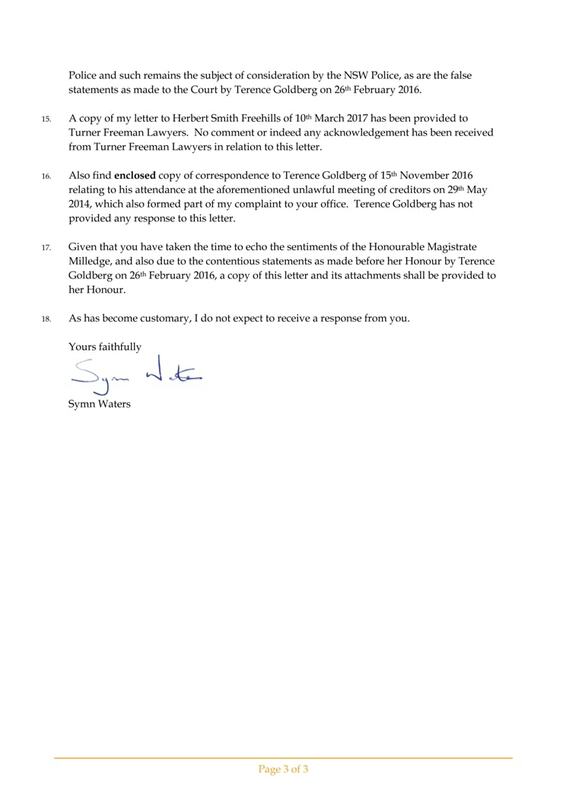 Terence Goldberg then unlawfully sued that sixth defendant to pay the legal costs of his clients. 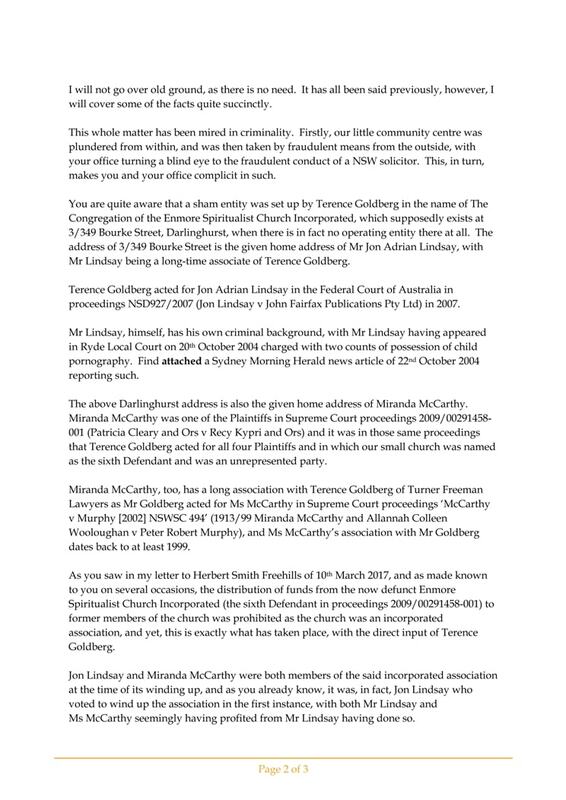 The sixth defendant, an association, was then wound up and its building sold to pay such costs with the substantial residual funds belonging to that association making their way to a sham entity based at the home address of two long-time acquaintances of Terence Goldberg, ie Jon Adrian Lindsay and Miranda McCarthy (aka Mandy Miami), at 3/349 Bourke Street, Darlinghurst NSW 2010 (with both of those two long-time acquaintances of Terence Goldberg being members of the church). 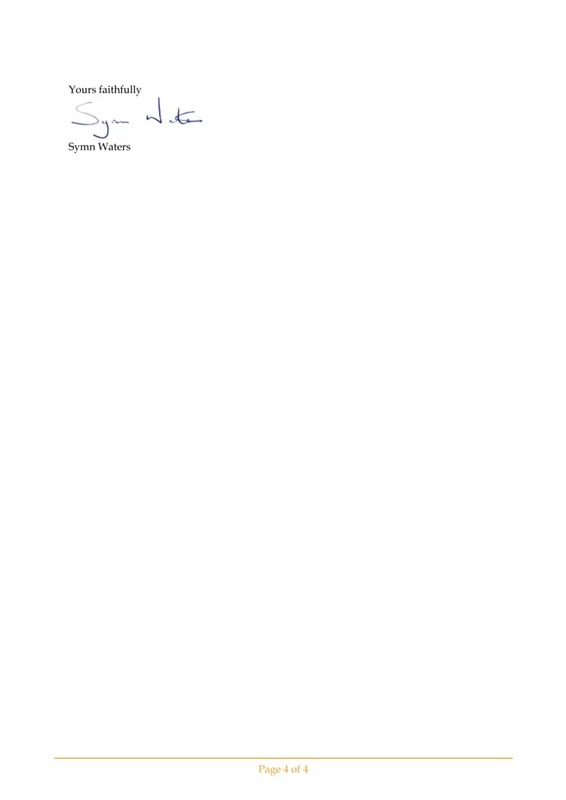 It has since been shown that Terence Goldberg had a direct hand in the setting up of the said sham entity. 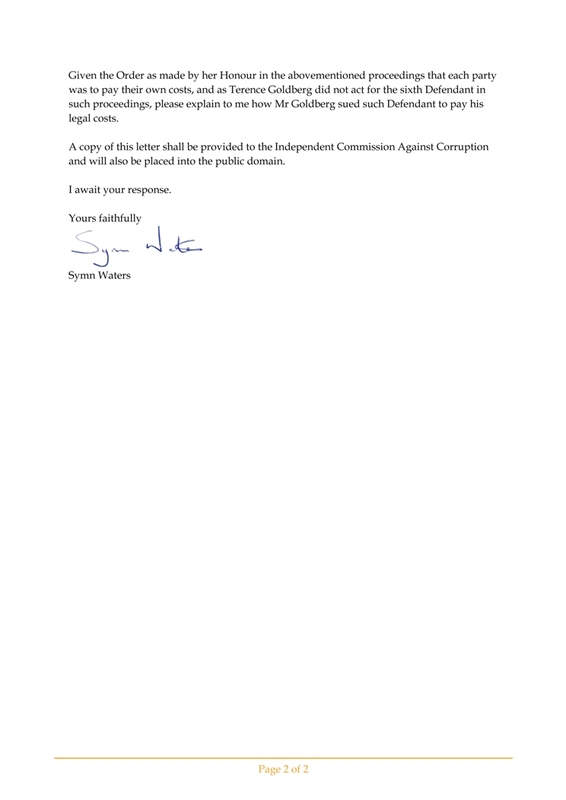 The above bears all the hallmarks of fraudulent activity (see section 192E of the Crimes Act 1900). 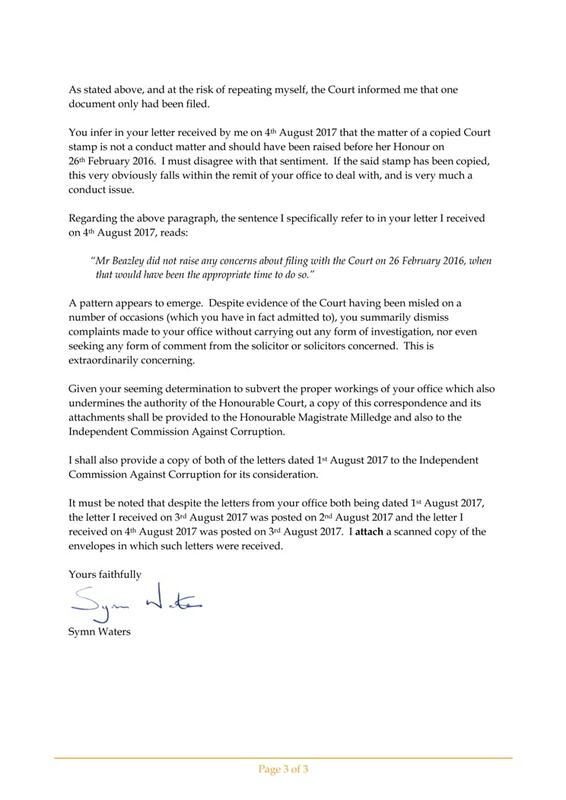 The above also defied the only Order made by the Court in those proceedings which was that each party was to pay their own costs. 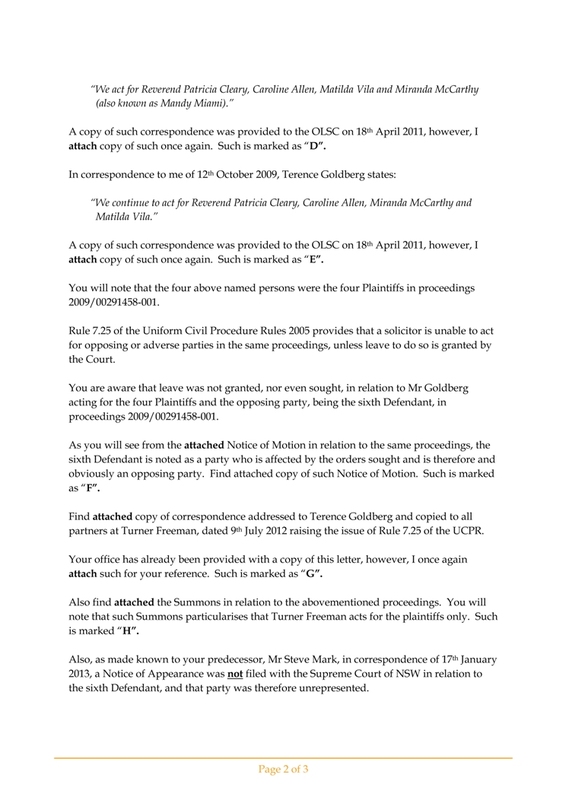 Significantly, the sixth defendant had accrued no costs, and as there was no Order made for one party to pay the costs of any other, Terence Goldberg was prohibited from claiming costs from any defendant, which he went on to do. 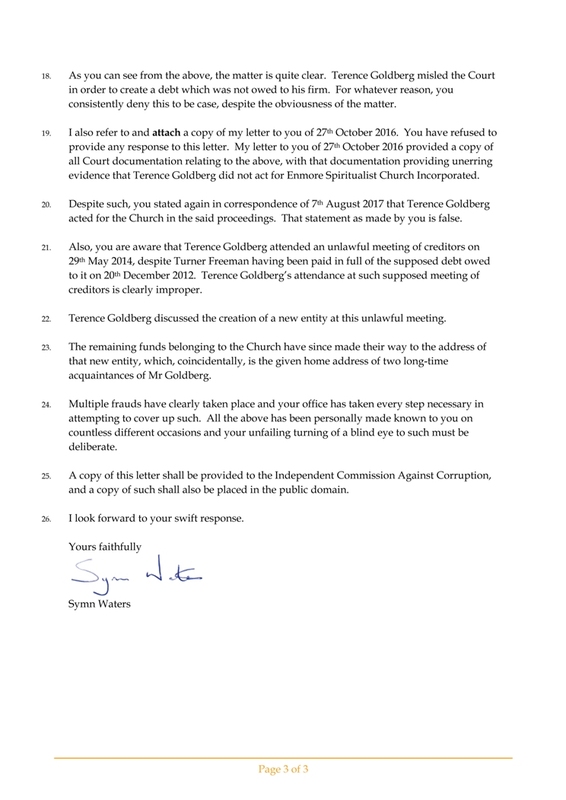 In this matter, Terry Goldberg makes a myriad of misleading and conflicting statements in a number of various documents, all seemingly to his benefit. 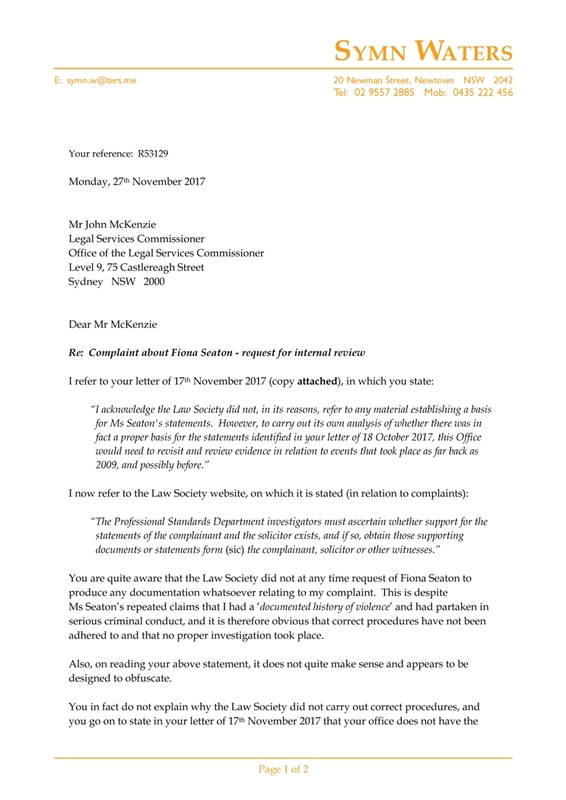 The above has been made known to the Office of the Legal Services Commissioner (the solicitor conduct overseer) and the Law Society of NSW, with both of those bodies turning a blind eye at all times. Some would have you believe that the matter is complex, when, in fact, the matter is simplicity in itself. 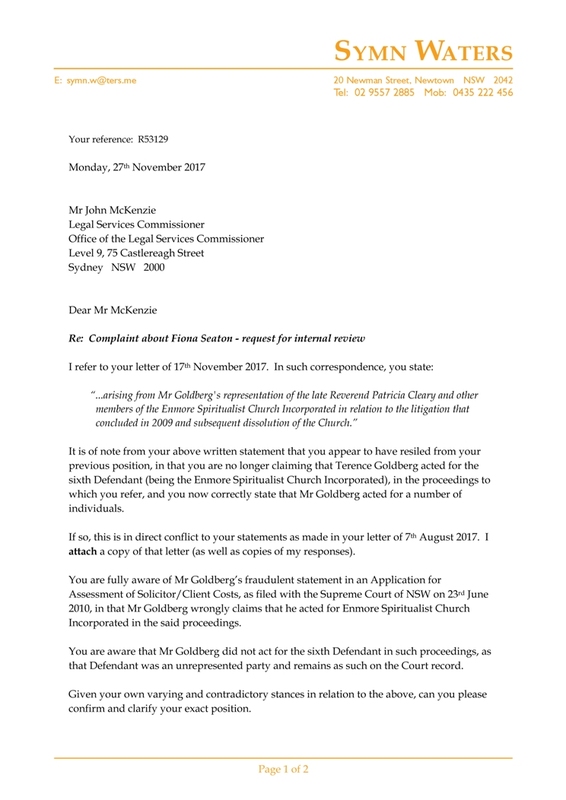 Terence Goldberg of Turner Freeman Lawyers could only have sued Enmore Spiritualist Church Incorporated for his legal costs if the church had been Turner Freeman’s client. 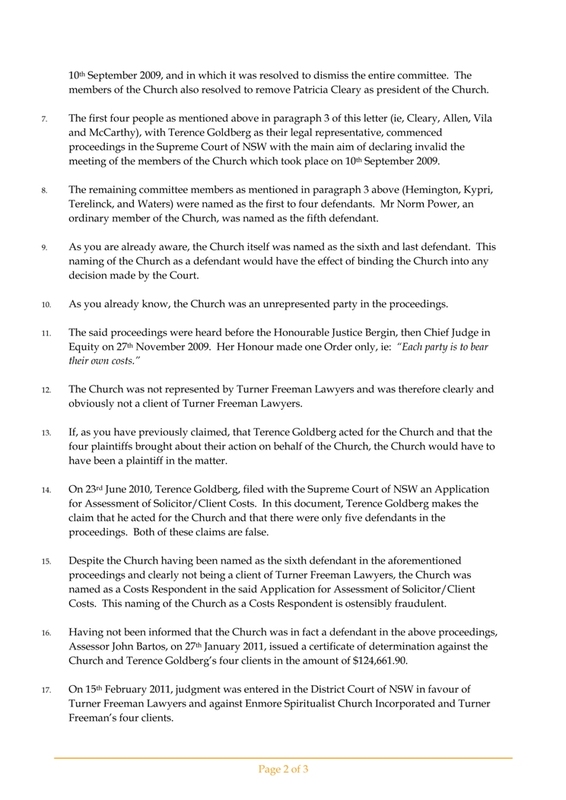 The church was not Turner Freeman’s client. 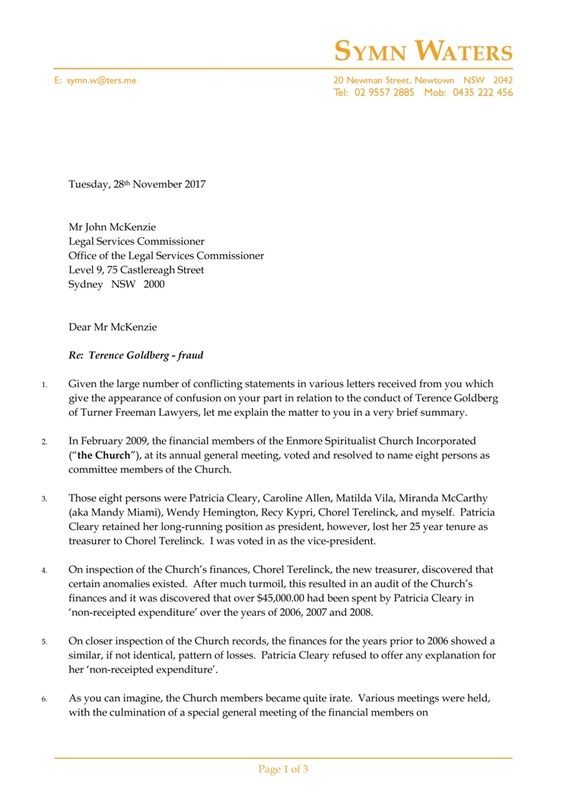 As Terence Goldberg acted for the four plaintiffs in the matter and also named the church as the sixth defendant, therefore placing the church in opposition to the four plaintiffs, it does not take a legal mind to deduce that the church was not his client. 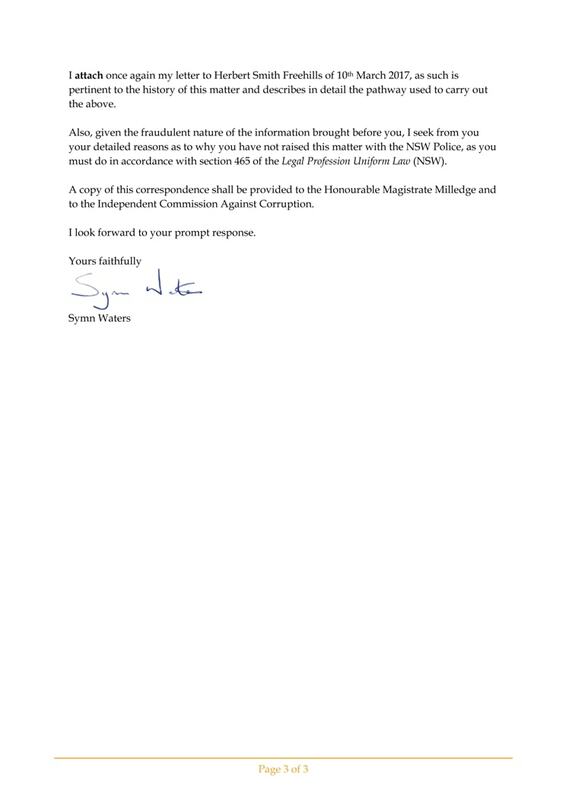 Also, and which is also obvious to all and sundry, if the church were Terence Goldberg’s client, it would not (and could not) have been left as an unrepresented party in the said proceedings; which it was. 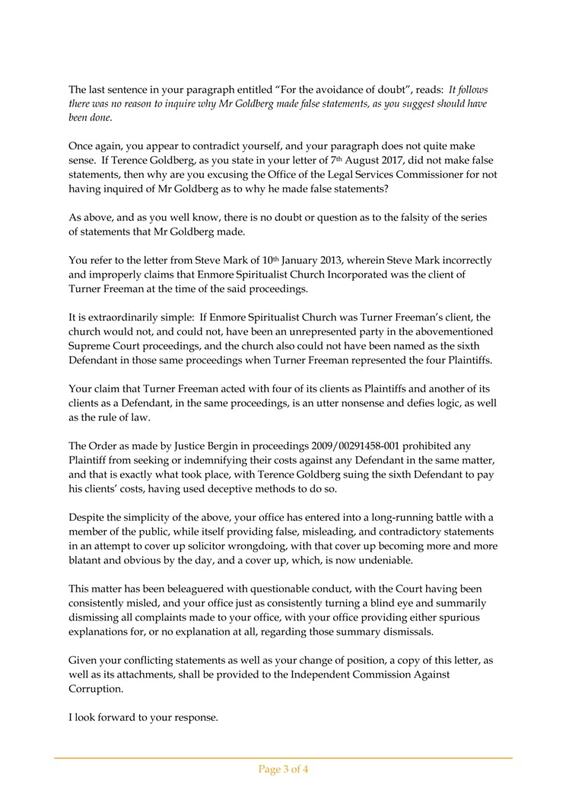 Any suggestion that the church was Turner Freeman’s client is clearly absurd. 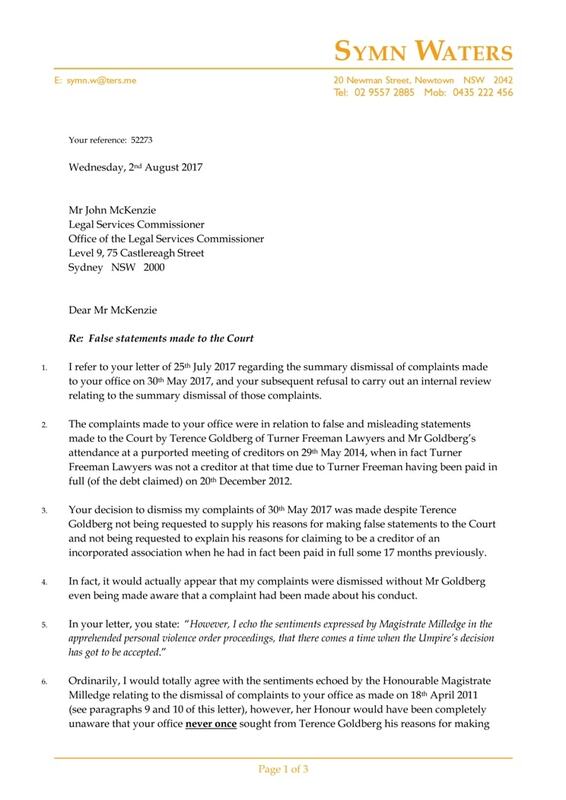 See below a selection of letters to and from John McKenzie, the Legal Services Commissioner. 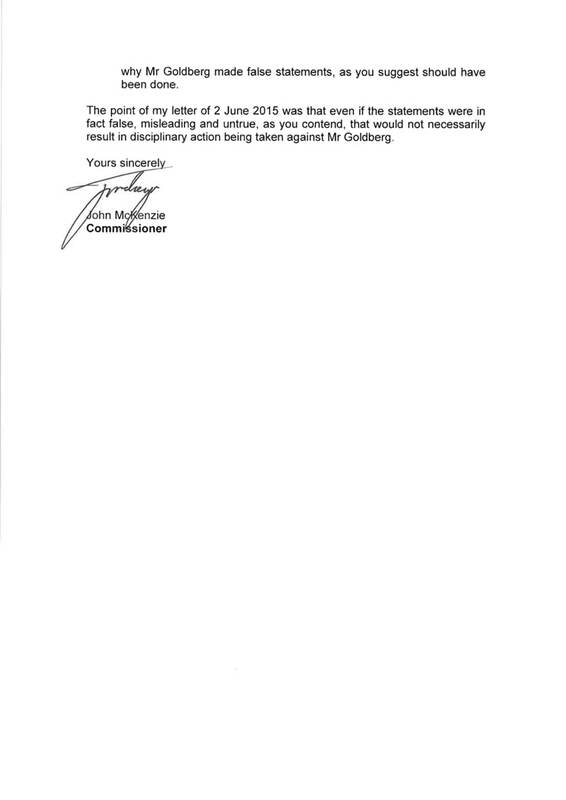 You will see that Mr McKenzie, like Terence Goldberg, also makes statements which are unable to be true. 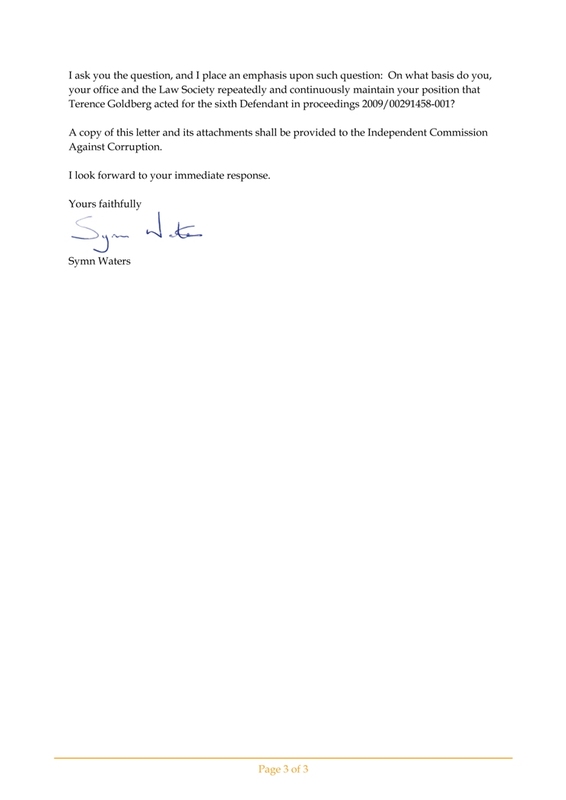 Click on the letters to view a pdf version. 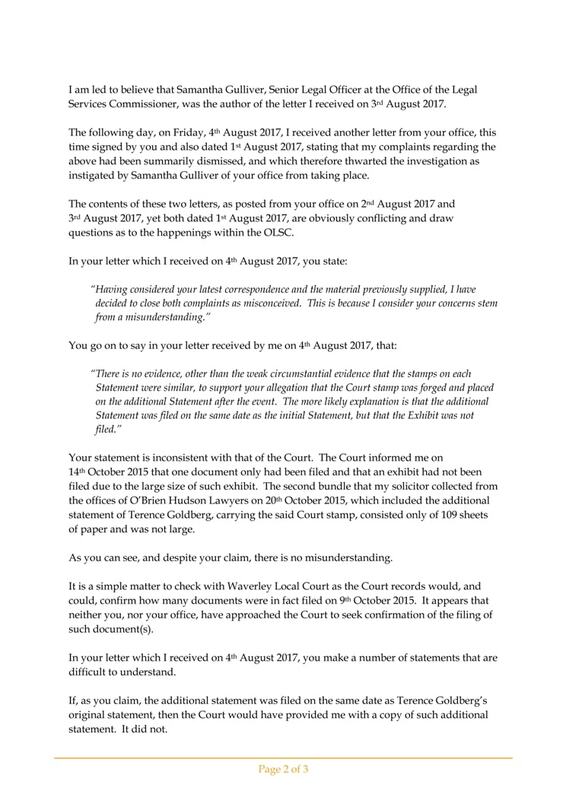 A list of the Court documents involved as well as other pertinent documents relating to this matter can be found on this site’s other page by clicking on this link or by choosing ‘The Evidence’ in the menu. 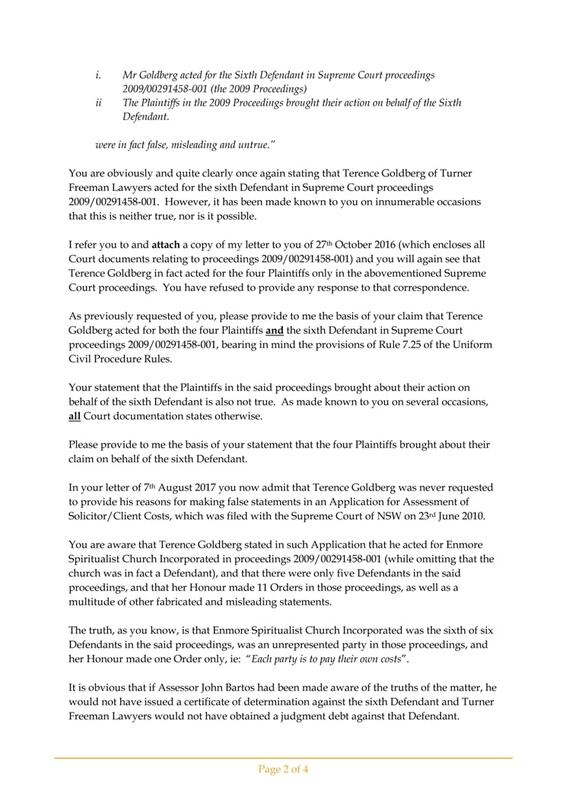 You will see that all Court documents demonstrate quite clearly that Terence Goldberg did not act for Enmore Spiritualist Church Incorporated in any capacity. 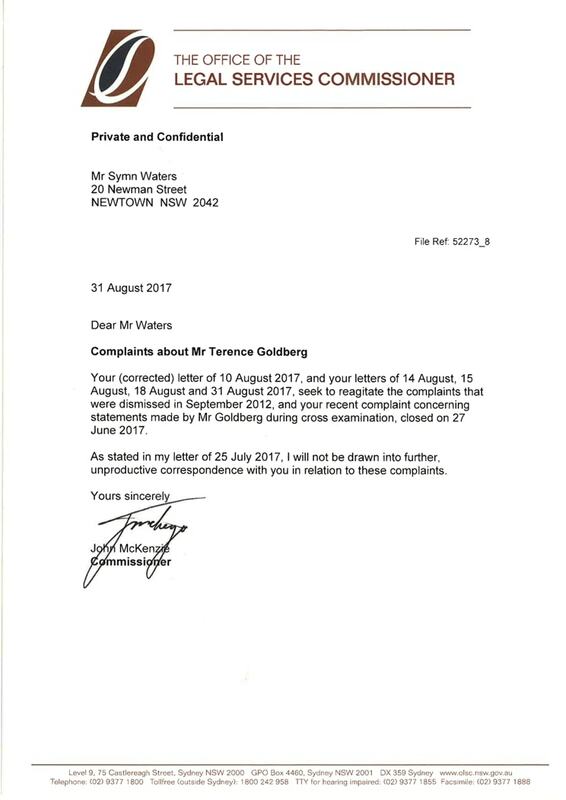 "Mr Terence Goldberg representing Turner Freeman Lawyers discussed updates regarding the setting up of the association's new Trust. 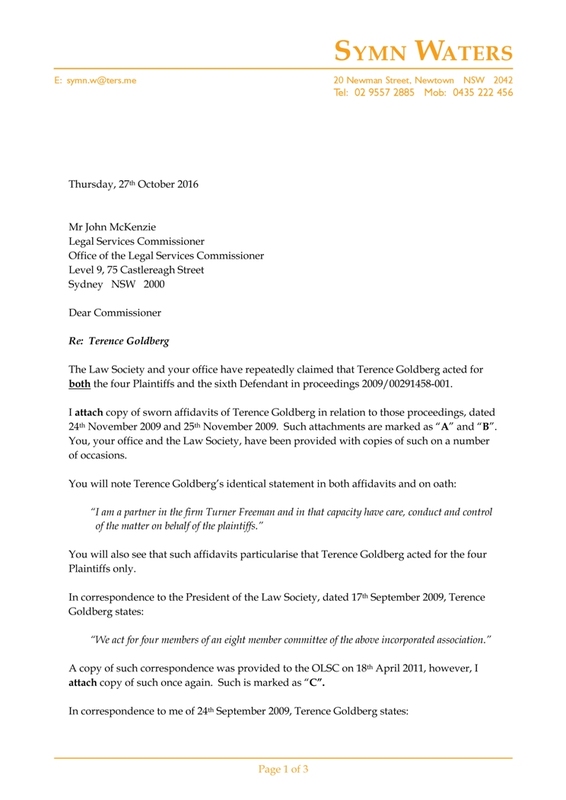 Mr Goldberg advised that the lawyers of Perpetual Trustees are currently reviewing the Deed that Turner Freeman Lawyers have prepared with regards to the new association, which will be called 'Congregation of Enmore Spiritualist Church Incorporated'." 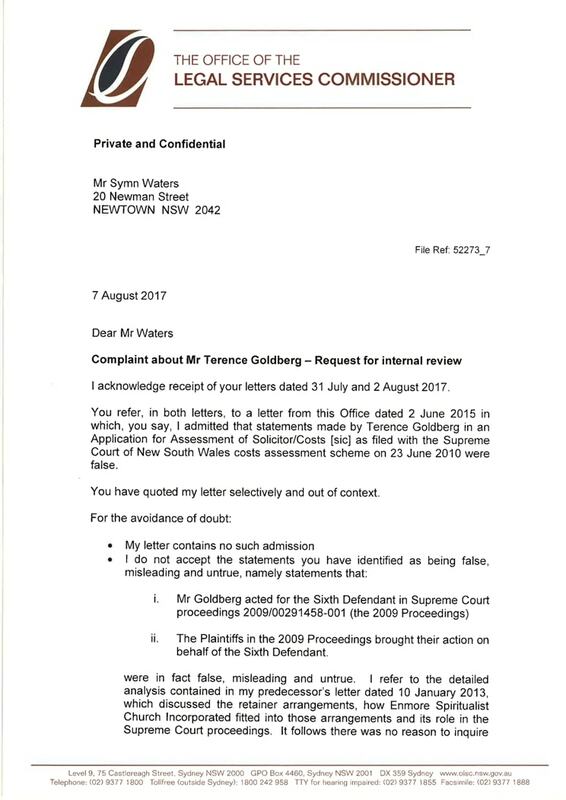 "It has been made known to you on innumerable occasions, over a protracted period of time, that Terence Goldberg of Turner Freeman Lawyers could not have acted for the sixth Defendant in Supreme Court proceedings 2009/00291458-001, as not only did Mr Goldberg act for the four Plaintiffs in such proceedings, but that the sixth Defendant was in fact an unrepresented party. 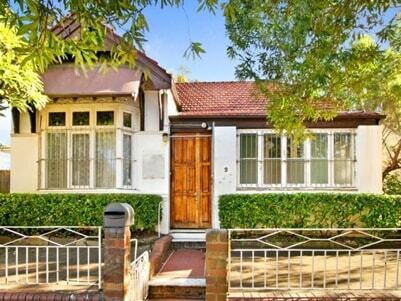 A simple telephone call to the Supreme Court of NSW can, and will, confirm such." ii. 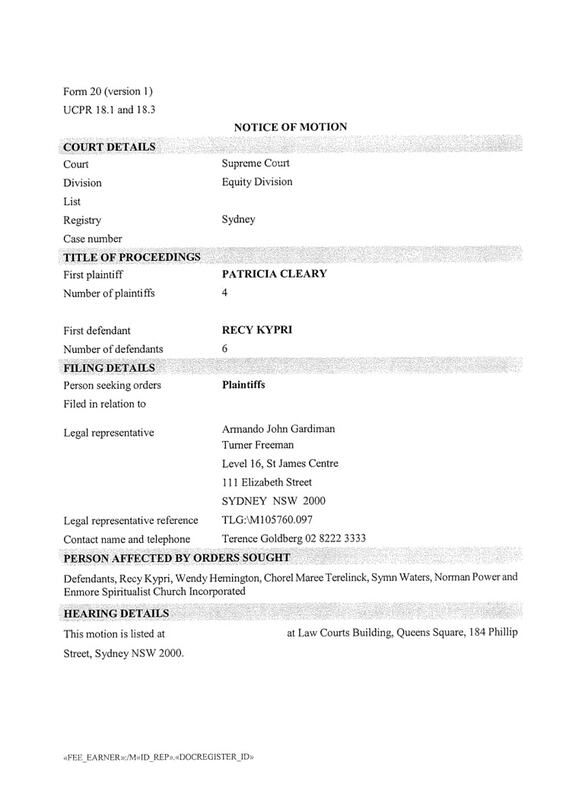 The Plaintiffs in the 2009 Proceedings brought their action on behalf of the Sixth Defendant. '30. lf upon the winding up or dissolution of the Church there remains after satisfaction of all its debts and liabilities any property whatsoever, the same shall not be paid or distributed amongst the Members of the Church, but shall be given or transferred to some other institution or institutions having objects similar to those of the Church and which shall prohibit the distribution of its of their income and property amongst its or their Members, and if this provision cannot be satisfied then to some charitable object.'" 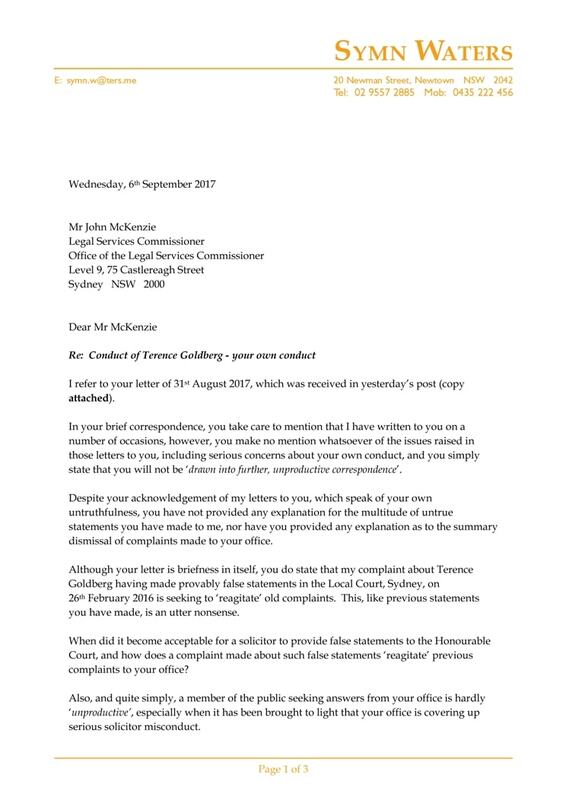 "Your claim that Turner Freeman acted with four of its clients as Plaintiffs and another of its clients as a Defendant, in the same proceedings, is an utter nonsense and defies logic, as well as the rule of law. 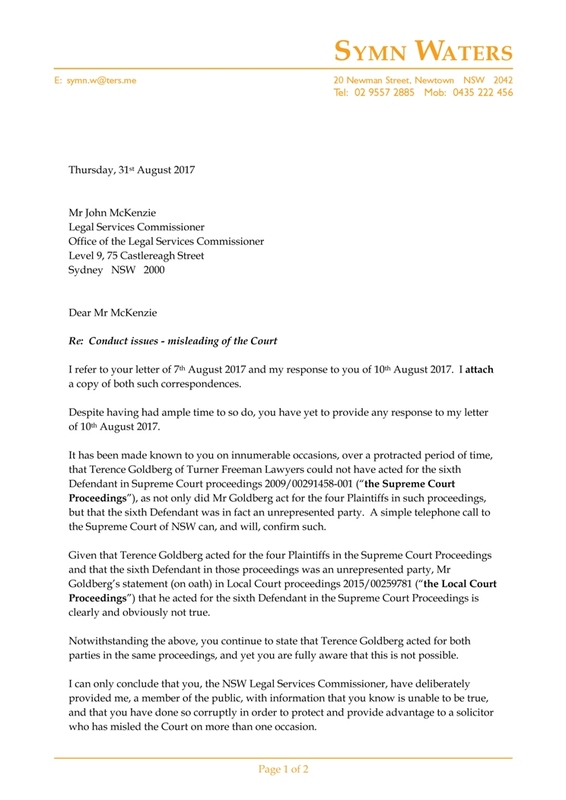 The Order as made by Justice Bergin in proceedings 2009/00291458-001 prohibited any Plaintiff from seeking or indemnifying their costs against any Defendant in the same matter, and that is exactly what took place, with Terence Goldberg suing the sixth Defendant to pay his clients’ costs, having used deceptive methods to do so." 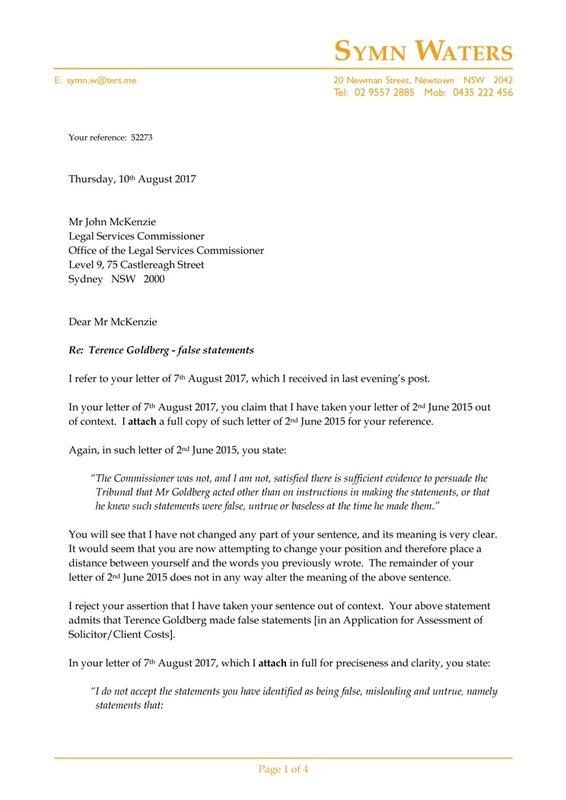 “And I was acting for the sixth defendant [in Supreme Court proceedings 2009/00291458-001]"
"The plaintiffs bring their action on behalf of the sixth defendant and that is what happened..."
“The point of my letter of 2 June 2015 was that even if the statements were in fact false, misleading and untrue, as you contend, that would not necessarily result in disciplinary action being taken against Mr Goldberg." 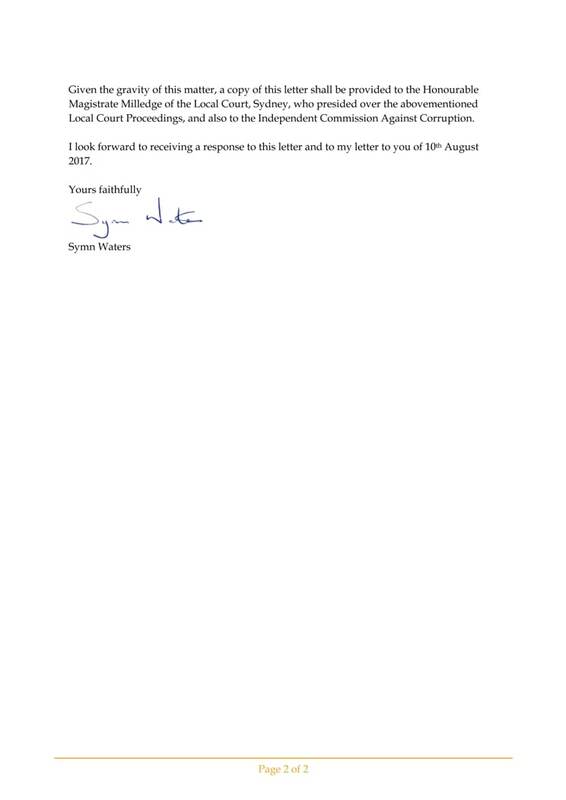 "The Chairperson advised that the quorum requirements set out in Regulation 5.6.16(2) of the Corporations Regulations had been met and that a quorum was properly present." 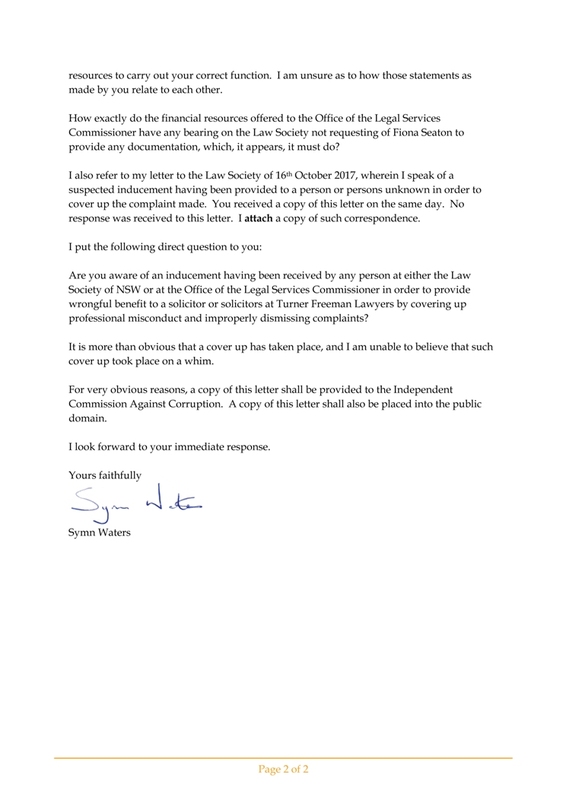 "I ask you the question, and I place an emphasis upon such question: On what basis do you, your office and the Law Society repeatedly and continuously maintain your position that Terence Goldberg acted for the sixth Defendant in proceedings 2009/00291458-001?"